Lyndsey Walsh is an American artist and researcher. She graduated from New York Univeristy’s Gallatin School of Individualized Studies in 2016 with a BA concentrating on an academic exploration on “The Creativity of the Universe.” This concentration examined a variety of universal forces from the perspective and critiques of the arts and design. She also completed and received Honors on her senior thesis entitled “Heads Will Roll: Cranial Mapping Systems,” which positioned the taxonomy of the cranial structures of dolphins, whales, and porpoises in relation to the curatorial practice of the “Volatile Taxonomy” proposed by Yves Alain Bois and Rosalind Krauss and inspired by Georges Bataille. Lyndsey’s fascination with modes of making has guided her work through various disciplines and mediums. She views modes of making as one of the main sources of creating knowledge about the world around us. Her practice involves not only experimenting with different materials as a way to investigate different types of knowledge systems, but explores their accompanying ideologies and influential narratives. Her current research interests focus on how aesthetic values underlying material and experimental practice in science and the arts largely influence and implicate social, cultural, and political narratives. Anti-Programming is an original methodology produced by Lyndsey to deconstruct and examine aesthetic values and material possibilities when working with stem cells. 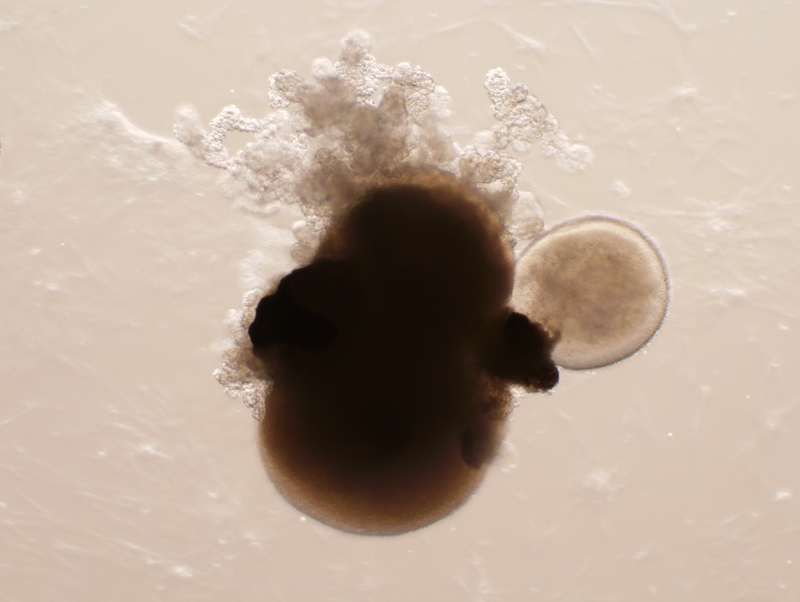 By setting out to create a paradoxical feat of constructing a monstrous body of the Teratoma in vitro (a monstrous tumor typically described as growing the biological characteristics of hair and teeth), Lyndsey aims to identify and deconstruct the current values systems placed on stem cell materiality and potential in light of the bioeconomy and biotechnological hype. Additionally, Lyndsey has produced a number of protocols with the intention of demonstrating the chaotic and uncontrolled behaviors of stem cells. The results of this research are both humorous and show the extent in which the way the behavior of stem cells is valued and utilized is largely influenced by aesthetic values and economic desires. 2016 Art, etc.| Gallatin School of Individualized Studies| New York, NY, USA. 2016 “Animals with Feelings”| The Borgen Project| New York, NY, USA. 2018 Art and Science Collaboration. Presented to NEUR1001 Neuroscience and Society at the University of Western Australia on September 17th. Perth, WA, AUS. Walsh, L. (2019). Interview with Artist Dread Scott about His Upcoming "Slave Rebellion Reenactment. The Massing Lab. Nalls, G., L. Walsh (2017). Divestment: Only We Can Stop the World from Burning. The Massing Lab. Walsh, L. (2017). A Culture in Con ict: A Community’s Message of Solidarity. The Massing Lab. Walsh, L. (2016). The Electric Pow Wow: A Tribe Called Red Creates a New Type of Community. Health at Ledgeline in the Lower Florida Keys. Newfound Harbor Marine Institute Journal of Marine Science.